My Hobbies' Place: The lost signal of Democracy. The situation in Greece is getting really worse. 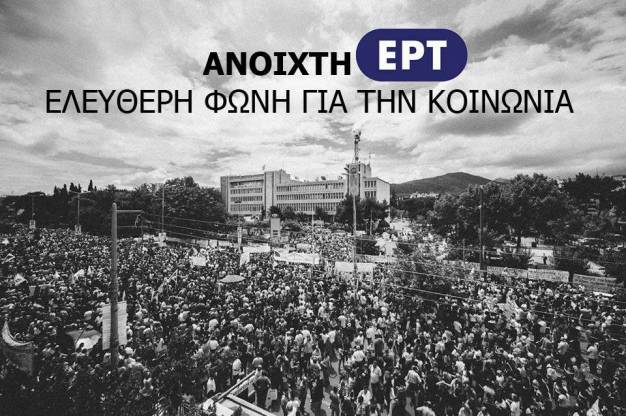 12 days ago, the greek PM decided to shutdown ERT, the Hellenic Broadcasting Corporation. The greek state TV was offering more than true information, it was also a connection between Greece and the Greek diaspora. employees, loyal to their conscience and their sense of duty, continue the fight to keep the public informed, by broadcasting via Internet. Please watch "THE LOST SIGNAL OF DEMOCRACY", it will only take you 9 minutes, and you'll get a vibrant description of the above facts. Feel free to sign this petition if you also think that Democracy has to be SAVED.